Riverina GI. The Riverina district makes some of Australia's best dessert wines thanks to unique conditions at vintage time. 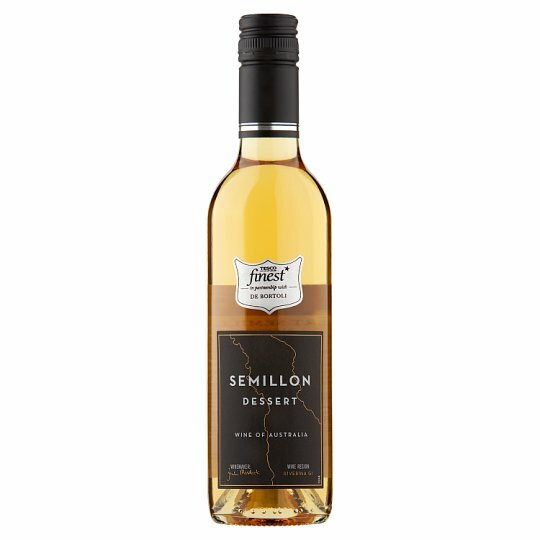 An elegant dessert wine with honeyed aromas and citrus, peach and apricot characters. Contains: CONTAINS: Milk & Sulphites. A wine with a great deal of personality, with fresh citrus characters of mandarin, a hint of almond and subtle oak nuances. Sweet with a refreshing acidity. Harvest began in late March after persistent showers of rain during the summer months provided favourable conditions for botrytis to develop. Extensive botrytis was throughout all selected vineyards and with optimum sweetness levels achieved, harvesting started. De Bortoli Wines is a 3rd generation Australian family wine company established by Italian emigrants Vittorio and Giuseppina De Bortoli in 1928. Their son Deen (1936 - 2003) expanded and consolidated the business and now his children have established De Bortoli's reputation for premium wine including icon dessert wine Noble One. Italian family values remain core; there is a culture of hard work, generosity of spirit and of sharing good food, good wine and good times with family and friends. The Riverina region enjoys a warm Mediterranean climate with winter dominant rainfall. Sandy loam soils vary in colour and structure from red sandy earths to brown clay loams. The Bilbul winery in the Riverina is the birthplace of icon dessert wine Noble One, developed by Darren De Bortoli in 1982 which since its release has been awarded 117 trophies and 376 Gold medals. Climatic conditions allow the development of 'noble rot' to occur, providing the opportunity to make complex sweet white wines. Store in a cool, dark place. This wine can be enjoyed now, or if carefully stored, for up to 5-6 years from purchase. Once open, drink within 2 days.